The combination of full body, small size and good weight make it fast and accurate with a superior feel from first swing through delivery. Gain the upper hand with Hand Lite. The Easy Money is 100% bright neon green nylon for maximum visibility, and provides the perfect balanced feel in all conditions. Don't just turn steers, turn them into money. Easy Money! 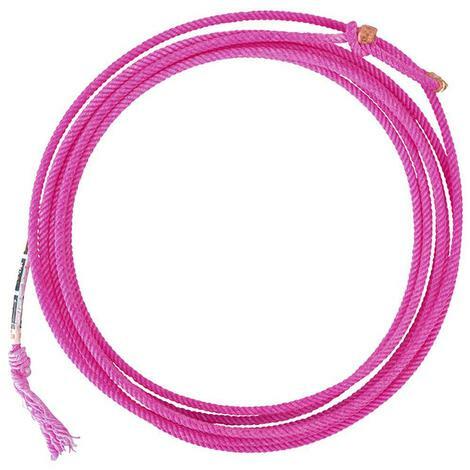 The Hooey Calf Rope with CoreTx by Cactus Ropes is a 100% poly rope with the grass rope feel. 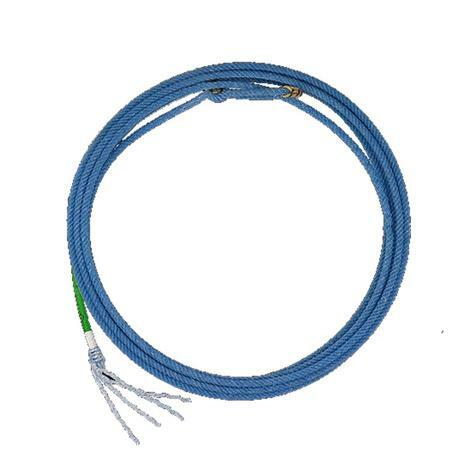 Four-strand texturized, high tenacity poly rope designed with the least stretch and optimal body of any four-strand rope. Cactus has rigged these ropes for tie-down and breakaway ropers of all levels. Let South Texas Tack supply all your roping needs. 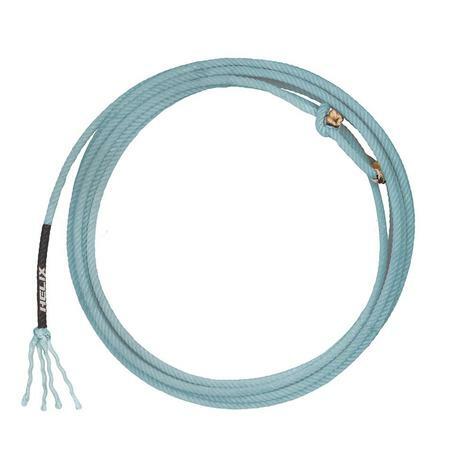 The El Caporal Ranch Rope with CoreTx by Cactus Ropes is a 4-strand 37- footer that comes in a soft lay. 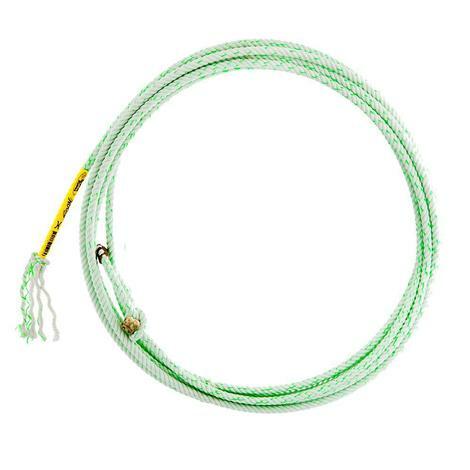 This rope has been touted as the most durable and longest lasting ranch rope on the market today and tested by the hardest working ranchers world-wide. Designed by Cactus Ropes for the working cowboy and your pickup men at the NFR. 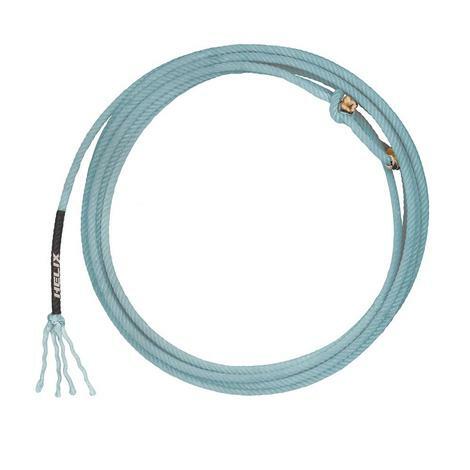 The new Triton Heel Rope by Classic Rope is the first bland of 3 separate specially developed fibers making this rope a triple-threat. Three separate fibers with three separate purposes together make this new heel rope a winning combination. Poly Fiber increases the tip size and feel, Nylon Fiber 1 allows more body and twist offering an open loop and a zippy closure, and Nylon Fiber 2 forgives, allows for more consistency, and creates balance. Together these outstanding factors produce a longer lasting, better performing rope. The new Triton Head Rope by Classic Rope is the first blend of 3 separate specially developed fibers making this rope a triple-threat. Three separate fibers with three separate purposes together make this new head rope a winning combination. Poly Fiber increases the tip size and feel, Nylon Fiber 1 allows more body and twist offering an open loop and a zippy closure, and Nylon Fiber 2 forgives, allows for more consistency, and creates balance. Together these outstanding factors produce a longer lasting, better performing rope. 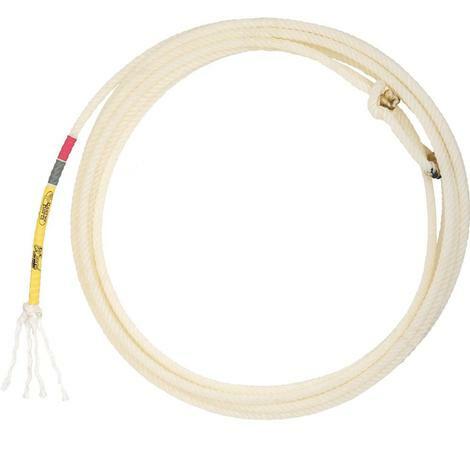 The Top Hand Pearl Snap heel rope has a core and is made from a nylon/poly blend. Is balanced with lots of tip weight. Will hold its shape in any type of weather. 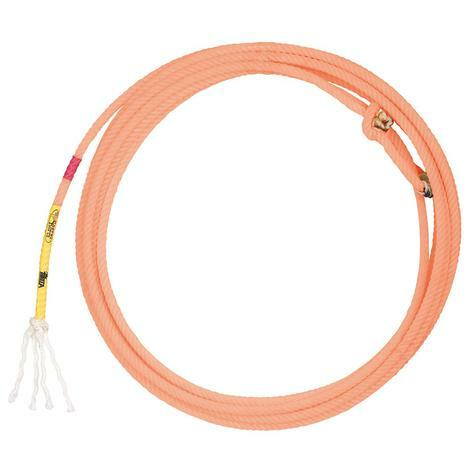 The Top Hand Pearl Snap head rope has a core and is made from a nylon/poly blend. Is balanced with lots of tip weight. Will hold its shape in any type of weather. The Lone Star Helix 4-Strand Head Full Size rope has been in the works for over a decade and brings to play two unique, patent pending features to the industry. This rope promises the choice of weight and size with the same feel and construction - an industry first! You will notice swing and body are perfectly balanced keeping the honda straight and the coils from breaking down. You will love the consistency and tolerance this rope brings to your game - in all weather conditions. There is no guess work - only science - in the engineering and production of these new, precisely crafted larait ropes that are built for extremely high levels of expectation. The Lone Star Helix 4-strand Full Size Heel Rope has been in the works for over a decade and brings to play two unique, patent pending features to the industry. This rope promises the choice of weight and size with the same feel and construction - an industry first! You will notice swing and body are perfectly balanced keeping the honda straight and the coils from breaking down. You will love the consistency and tolerance this rope brings to your game - in all weather conditions. There is no guess work - only science - in the engineering and production of these new, precisely crafted larait ropes that are built for extremely high levels of expectation. 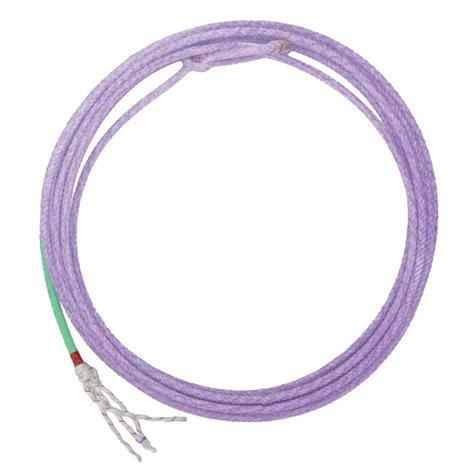 The Lone Star Helix LT 4-Strand Head Rope has been in the works for over a decade and brings to play two unique, patent pending features to the industry. This rope promises the choice of weight and size with the same feel and construction - an industry first! You will notice swing and body are perfectly balanced keeping the honda straight and the coils from breaking down. 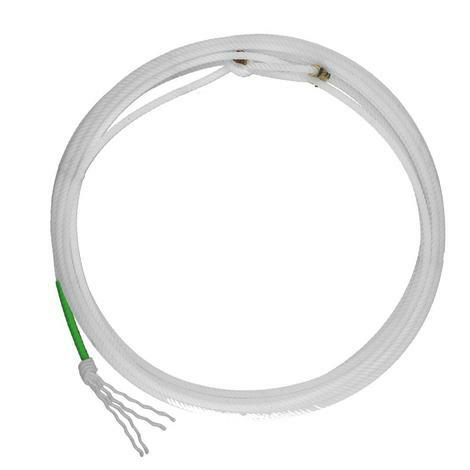 You will love the consistency and tolerance this rope brings to your game - in all weather conditions. There is no guess work - only science - in the engineering and production of these new, precisely crafted larait ropes that are built for extremely high levels of expectation. For ropers that like a smaller feel in their hand. The Mini Thrill is a smaller diameter rope than the Thrilla. With the added benefits of Cactus CoreTX, the Mini Thrill maintains plenty of tip weight and balance. Only available in head rope lays. 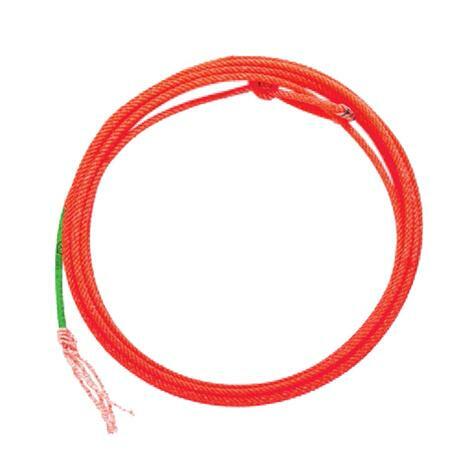 A bright colored 100% nylon rope made with TopCore Technology. The heaviest of our all Top Hand's nylon core ropes, second only to the Score in weight. 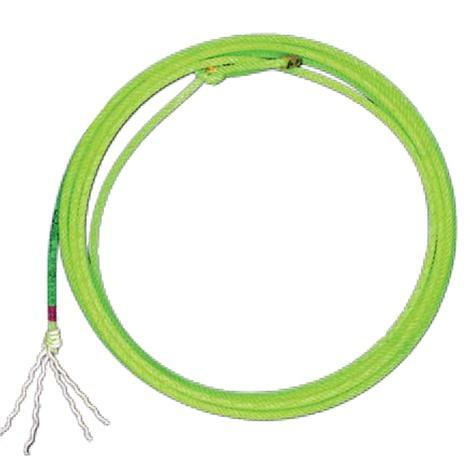 The Reach is a very durable, very fast rope. It’s great for big or small horns. Endorsed and designed by Tyler Magnus. The 3/8 inch diameter works with the weight to give this rope the perfect feel for ropers with a quick release. 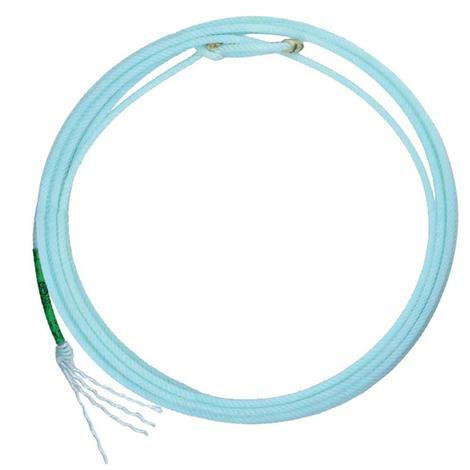 This is a 4 strand head rope that is made of 100% nylon and is 33 feet long. This is the official rope of Speed Williams, who is an 8 time World Champion. 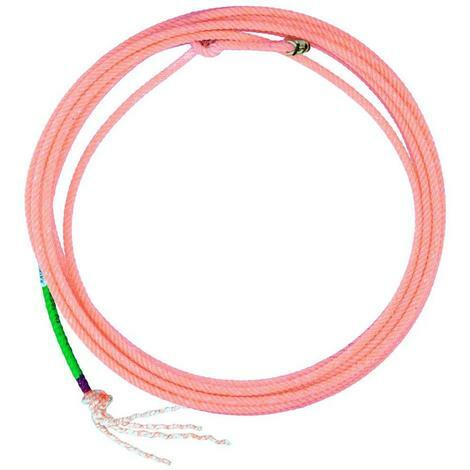 The 8X head rope is a small 3/8” rope with lots of weight and body. The Score is a fully body core rope with Top Hand's Top Core Technology. It has added poly to give it great weight and durability that provides outstanding balance for both headers and healers. 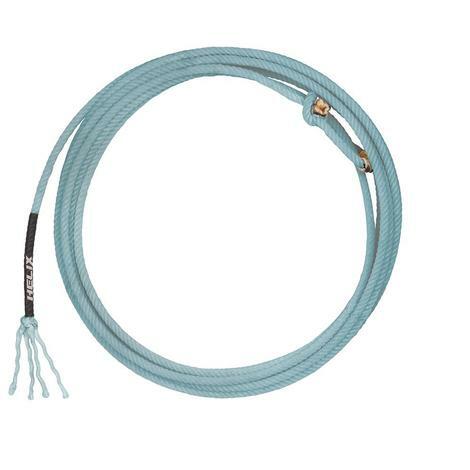 The Honcho is a quick, snappy rope that is light, fast and most importantly, durable. This 100% nylon rope stays straight for headers and consistent for heelers. Hot weather or cold, the Honcho can handle it all.